WorldPost: How should the West respond if Putin actually invades Ukraine? 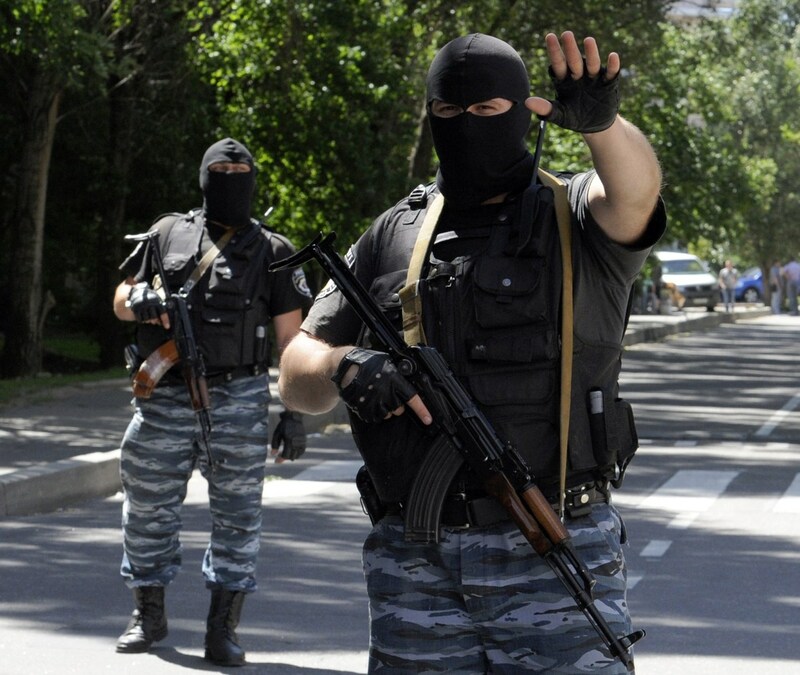 Strobe Talbott: They have already invaded Ukraine. I find it maddening and incomprehensible how governments and the media keep talking about the possibility, the danger, the threat of Russia invading. Russia invaded Ukraine early in the spring. 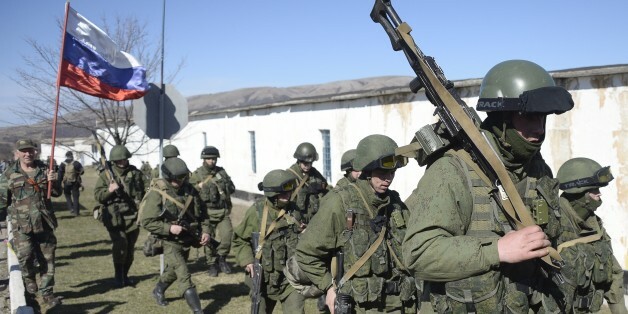 They started with the so-called "little green men" -- Russian soldiers without insignia on their green uniforms -- then proceeded with uniforms with epaulets and the annexation of Crimea. Russia has been the force behind, and on the ground, with the separatists in eastern Ukraine. It is an invasion that is already well in place. It is detrimental to managing the situation to play along with the transparent falsehood that the Russians are putting out that they have not invaded Ukraine. WorldPost: Now that the Europeans have imposed stiffer sanctions, is the response of the West sufficient? Talbott: It is good enough. Obviously it could be tougher, but whether it can be tougher in a way that preserves the solidarity of the Atlantic Alliance and that doesn't blow back domestically in the United States where the public is weary of war, is a challenge. The fact that German Chancellor Angela Merkel has taken the lead and been nearly in lockstep with President Obama is a big plus. The sanctions are having an effect in Russia. As of mid-August, the Russians don't seem to have made up their minds as to what their next move is. I would like to think that the reason they have not escalated further is because of the unpleasant surprise to them that the West has been quite effective in its unified response. WorldPost: Polish Foreign Minister Radek Sikorski has argued that NATO must go further and "bolster its eastern flank." Would that be more of a deterrent or a provocation to Russia? Talbott: I'm not sure exactly what he means. But NATO has already been bolstered in several ways, including in Poland. Moreover, there is a deliberately visible effort to put forces from the "original members of NATO" -- those who were members before the end of the Cold War -- in the Baltic states, particularly Estonia. The British and the Germans are supplementing Americans with air support. One essential requirement has been met: to persuade the Russians that any countries that are full members of NATO now are totally covered by Article 5 of the NATO Treaty, which says each member must defend the others with boots on the ground in the event of a threat. That is a deterrent. WorldPost: What is Putin ultimately after? Talbott: It is only a slight oversimplification to say that what Putin is after is a rollback of the reforms that were instituted by Mikhail Gorbachev and then picked up and advanced by Boris Yeltsin. In these back-to-back tenures of the last president of the Soviet Union and the first president of post-Soviet Russia, Gorbachev and Yeltsin, over a period of 20 years, put Russia on a new and promising track -- promising for Russia itself. The basic components of those reforms were to open up Russian society, democratize and federalize the old Soviet Union so there was accountability and a sense among citizens that they had a say in the composition of the policies of their government. Their reforms aimed to get rid of the "big lie" -- hoodwinking the Russian people and masking what Russia was up to around the world. Substituting "glasnost" -- or transparency -- continued by the "open society" of Yeltsin. In foreign policy, they abandoned as a losing cause the aggressively competitive zero-sum attitude toward the outside world and instead sought to follow a policy of partnership with the West and the international community. All that is now in jeopardy and nullified by Putin. That is not just dangerous, as we are seeing in the Ukraine, but also bad for Russia in the long term. One of the most important decisions that Yeltsin took as the most powerful of the post-Soviet leaders who managed the dissolution of the USSR was to guarantee that the inter-republic borders would become the international borders of the new independent states. That alone made it possible for the dissolution of the Soviet Union to be, generally speaking, peaceful, non-violent and relatively orderly. It avoided the kind of bloody wars we saw with the breakup of Yugoslavia. Putin has torn up that decision and is following the course of Slobodan Milosevic, the Serbian leader. In taking this course, Putin could very well be precipitating the violent dissolution of the Russian Federation. WorldPost: Changing borders through the use of force -- and the response to it -- has broader implications for the global order as a whole. However justified the sanctions are against Russia, it is having the effect of pushing Russia together with the Chinese -- who see the American "pivot to Asia" as an effort to contain their rise -- into an anti-Western bloc. Talbott: I see this as very much as a surface phenomenon without deep roots. The proclaimed intentions of Putin and Chinese President Xi Jinping would seem to indicate this splitting into blocs. But I don't think that is sustainable over the long haul. First of all, the Russians and the Chinese fixate on what they see as American "hegemonism" as the great danger. That is not the danger. The danger for both Russia and China is a future in which they isolate themselves. Russia and China are very different and equally complicated cases. China is deeply integrated into the global economy and is benefitting from that. It does not want to jeopardize those benefits. That is a brake on China. Russia is not integrated into the global economy, largely because it is overwhelmingly dependent on extraction and export of petroleum products. It does not have a modern manufacturing or service economy. So, Russia and China do not really fit together. Secondly, there are conflicting geopolitical and ethnographic realities. Russia has the largest territorial state on the planet, sharing a long border with the most populous state on the planet, China. Russia has a lot of what China wants -- raw materials. That is a formula for serious competition down the road, and even for conflict. If you take the long view -- which is not the one Putin is taking -- he ought to be much more concerned about the viability of Russian control over vast areas of eastern part of the country with lots of resources China wants and few people to defend them. WorldPost: In other words, Putin is looking to the past, not the future. Talbott: Worse, he is looking to the past for a model for the future. That is unwise in the extreme, for Russians -- and for the rest of us.